Are you trying to find out what needs to happen with your Spring TX HVAC Repair needs? Maybe you’re trying to maximize your HVAC performance and ensure you’re able to make it last for as long as possible. Perhaps you’re in the market for a reliable team of inspection and maintenance specialists who can help you keep track of your situations, and you don’t know how you’re going to handle this. While you may feel some temporary discouragement, know that the services of Houston Admiral Services will be exactly what you need. Call us today at 281-876-9400 for more information. Our team understands that when you don’t know what to do about your setups, you may not know how you’re going to handle what’s next. Are you ready to figure out how you’re going to enable yourself to really get the most out of what you’re doing, but you don’t know where to go or who to rust? While this may be something that you think about, it’s something that should definitely be acknowledged. Take care of your problems and get to the bottom of your situations by enlisting the assistance of our technicians. We have a mobile group of guys who can help you at all times. Repairing your HVAC system is really important. We understand that when things go wrong, you might not have the right repairing resources to make things right again. Are you trying to make sure you’re able to properly cool your home when it gets hot in the summer? You’re probably trying to gear up for the right resources, and maybe you don’t know how to handle this. When things go wrong, you can always count on our pros to figure out your needs. Lean on us and you’ll be just fine in no time! 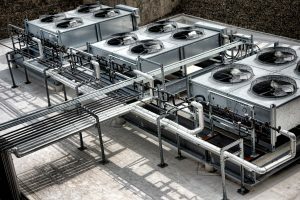 The HVAC system in your building is what controls your heating, ventilation, airing, and cooling. If you’re using something that doesn’t work right, you’re going to have to get to the bottom of it in some type of way. While you may not be able to handle this immediately, you’ll definitely have the right resources when you count on our guys. When it comes to making things move in the best ways possible, you’ll be able to find relief with our professionals. Do you have a residential air conditioning unit that’s not working very well? While you might not know what to do about you clogs, vents, and other conundrums, our pros will handle your solutions. We deeply care about what’s going on with your services, and you’ll be able to find relief when you count on our team. Not having cool air during the hot months of Spring can really cause you to lose faith. When this happens, the rest of your livelihoods may be harmed as a result. Our Spring TX HVAC Repair professionals are here to help you when you’re trying to make sure you maintain your systems properly. Are you trying to avoid a lot of costly repairs that will take up a lot of your time? When this happens and you want to keep it moving in the best way possible, count on our pros and make things right. Service contracts, maintenance, inspection, and repairs are all backbones of what we have to offer you. When you need some help, count on us to provide it to you. Maintenance is something that you should invest in if you’re trying to avoid a lot of expensive repairs. Are you having a bunch of problems making the most out of your situations, and you don’t know how you’re going to handle it? While you may not be able to figure out what’s going on, our team is ready to provide you with timely assistance you can count on. Our team realizes that when things go wrong, you’ll be able to realize your greatest solutions and services by calling in our team for help. We’re ready to take your AC setup to the next level. 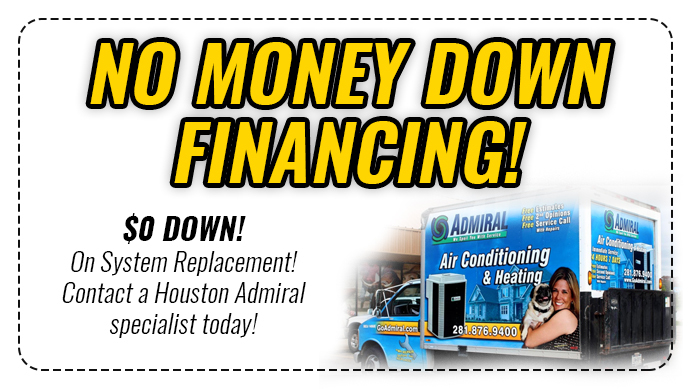 Houston Admiral Services helps our customers acquire the right prices for the services they need the most. Are you trying to figure out the right ways that lead you to savings and discounts? 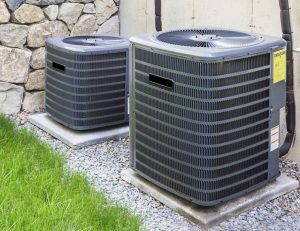 If you’re ready to find the right resources that help you acquire the right prices for your AC repairs, we can assist you. Our local mobile technicians are ready to assist you with your cooling and heating predicaments without costing you too much cash. We competitively price our services to make sure we’re accessible to the typical Texan. You’re probably someone who wants to figure out your AC needs without going through too many difficulties or confusions. When you’re ready to tackle your AC problems, Houston Admiral Services is ready to work. We’re always prepared to point you in the direction of our specials and particular services. 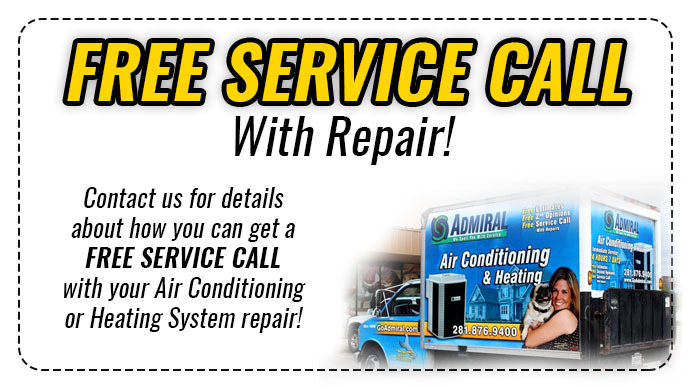 Make sure you’re able to figure out your Spring TX HVAC Repair situation by calling in our team. We’re prepared to find your solutions and deliver timely support for what’s going on. Want more information on what we do? Questions or concerns? If you’re ready to start finding the right resources and solutions you feel like you deserve, we’re on your side. Call us today at 281-876-9400 for more info; we’re on your team! When you have the results and the positive effects of our team, you won’t have to worry about your malfunctions getting the best of you. The Spring Fire Department is a staple of our community. These hard working men and women have been serving our citizens for decades, and we couldn’t be prouder. Thank you for all you do!